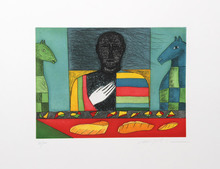 1 artwork by Mimmo PALADINO is currently up for public auction. The art market recorded a 7th consecutive year of price rises in 2007. The annual increase at global level amounted to +18%. It was accompanied by Fine Art proceeds of USD 9.2 billion, an increase of 43.8% over the year, swelled by the proliferation of million-ticket sales, auction hammers having come down on 1,254 sales of over USD 1 million in 2007, compared with 810 in 2006. 2006 had already recorded an unprecedented number of transactions and 2007 was an exceptional vintage. Against the backdrop of the Venice Biennale, Artprice has compiled an original ranking of the contemporary artists who have generated the largest volume of turnover on a country by country basis. To this end, Artprice has identified the contemporary artist (born after 1940) who has generated the highest revenue at auction in each of the world’s principal art markets. 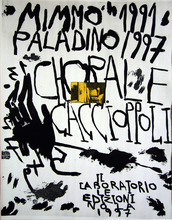 The market for contemporary art may be shrinking everywhere else, but in Italy both value and volume sales are booming. In the first half of 2003, Italy accounted for 5% of the market by value and 19.6% by volume, with 1,085 lots generating sales worth EUR 2.2 million. 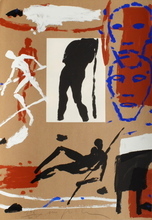 The 1980s saw a resurgence of figurative painting in Europe with the German New Fauves, the French Figuration Libre movement and the Italian Transavanguardia that was quickly taken up by the art market at the time. But with Christie’s Rome holding its “Arte Moderna e Contemporanea” auction on 18 December 2002, how do collectors rate these recent Italian figurists today? The art market is undeniably international. 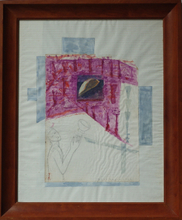 Works are being created and traded world-wide. And increasingly prices are tempting producers and purchasers alike to cross borders. 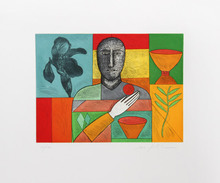 Updated on 26 Apr 2019: Mimmo PALADINO (1948) (Italy) is an artist born in 1948 The oldest auction result ever registered on the website for an artwork by this artist is a painting sold in 1984, at Christie's , and the most recent auction result is a painting sold in 2019. 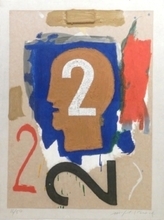 Artprice.com's price levels for this artist are based on 2,573 auction results. 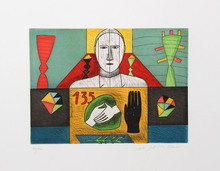 Especially: painting, print-multiple, sculpture-volume, photography, drawing-watercolor, tapestry, ceramic, furniture, objects. 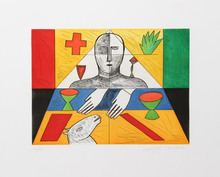 One art work by artist Mimmo PALADINO (1948) will soon be available in auction rooms. 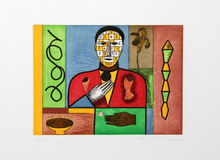 You can also discover 43 artwork(s) currently for sale on Artprice's Marketplace. 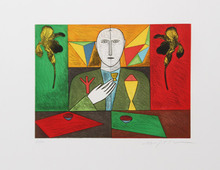 , sold by 18 Artprice store(s).